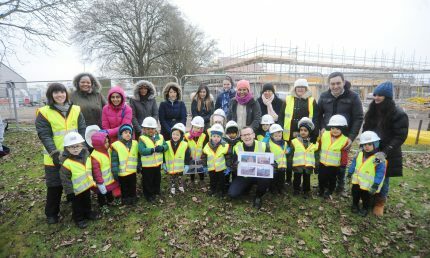 Schoolchildren from a Leamington primary school donned hard hats and high-vis jackets to find out more about the construction industry. 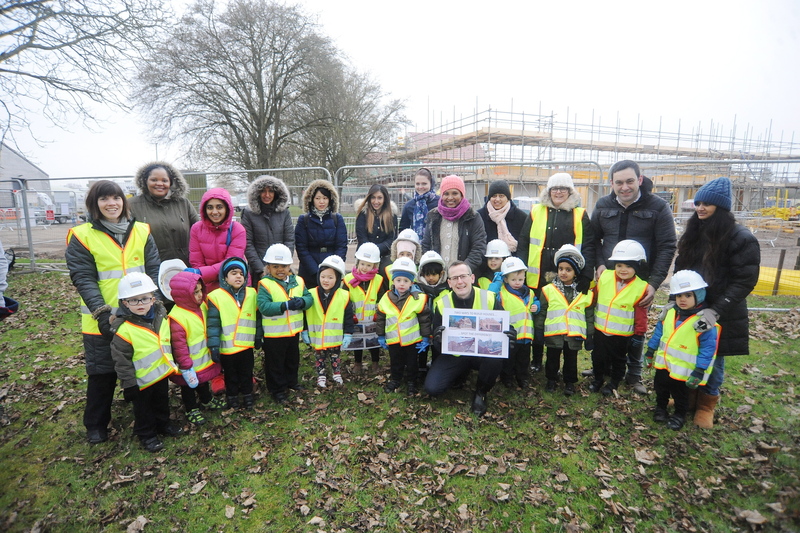 Three and four-year-olds from the nursery class at St Anthony’s Catholic Primary School joined their parents and teachers for a look at Orbit’s Union Park development in Sydenham. 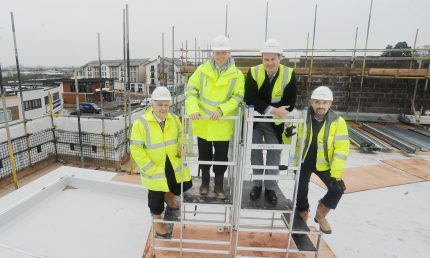 The 147 new homes are being built by Coventry-based company Deeley Construction on behalf of Orbit. The youngsters were given an insight into how the new homes are being built, the materials that are used and also the potential hazards of a construction site. Deeley Construction, which has registered the development with the Considerate Constructors Scheme – an initiative launched to improve the image of the construction industry, used a ‘spot the difference’ game to keep pupils engaged. Edward Hudson, of Deeley Construction, said: “It’s important that we speak to children from a very early age about the benefits of the construction industry to try to encourage them to join this diverse and exciting industry. Head teacher Mrs McSharry said: “St Anthony’s Nursery children have fantastic learning opportunities both inside and outside the classroom, planned for by our experienced nursery teacher. “A walk to the building site was the perfect way of extending the children’s learning about ‘The Three Little Pigs’, as part of their fairy-tale topic. Deeley Construction has hit a high point on a scheme in Stratford-upon-Avon that is being created on behalf of Orbit. Fordham House is a new development of 82 private rent apartments on the corner of Birmingham Road and Clopton Road, with initial preference to key workers in the town. The development is a partnership between Stratford Town Trust, Orbit, ABD Developments and Robothams Architects. 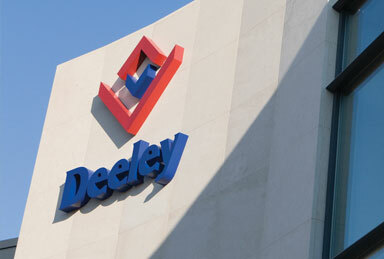 Deeley Construction is the design and build contractor. A topping out ceremony was held at the development, which is on the site of a vacant office building that was demolished to allow work to proceed, to mark the highest point in the build being reached. 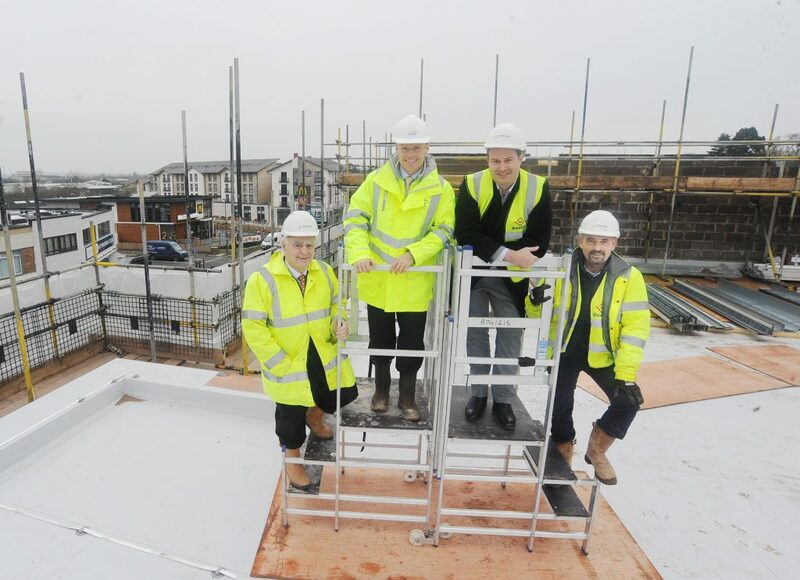 Justin Williams, of Stratford Town Trust, and Adam Cooper, of Orbit, joined Peter Deeley and site manager Richard Pepper on the roof of the scheme before other visitors. Other guests were shown around the one and two-bed apartments which are undergoing the ‘first fix’ of electrical and mechanical services. Peter Deeley said: “We are delighted with the way work is progressing and the topping out ceremony marks an important milestone in the build. Nearly 250,000 bricks and blocks have been used to complete the scheme. Local school pupil Isabella, aged six, guessed the correct amount in a competition prior to Christmas winning an iPad for her and family. Coventry Irish Society has received a £60,000 grant from the Heritage Lottery Fund (HLF) for an Oral History Project documenting the contribution of the Irish community to the city of Coventry. The project, which will run for 18 months, focuses on Irish migrants that arrived in the city after the Second World War, during the 1950s and 1960s. One of the highlights will be a high-profile exhibition at the Herbert Art Gallery during the St. Patrick’s Day Festival in March 2018 and will include filmed interviews, photographs and written materials. Thanks to National Lottery players, this important project will allow present and future generations to learn about the Irish community’s contribution to Coventry and to celebrate that as part of the city’s diverse communities. Project materials will be distributed to schools and universities for educational purposes and there will be archived materials at the Herbert Art Gallery, creating a lasting legacy for this lesser known aspect of Coventry’s heritage. A website will enable the whole community to explore the memories and legacy of the Irish community. It is also a prominent piece of work in the context of the city bidding to become UK City of Culture in 2021. The Society is also delighted to have received partnership funding for the project from Cork City Council, Deeley Construction and the Arts Council. An annual award which honours the legacy of a respected figure in the property industry has been awarded for the fifth time. 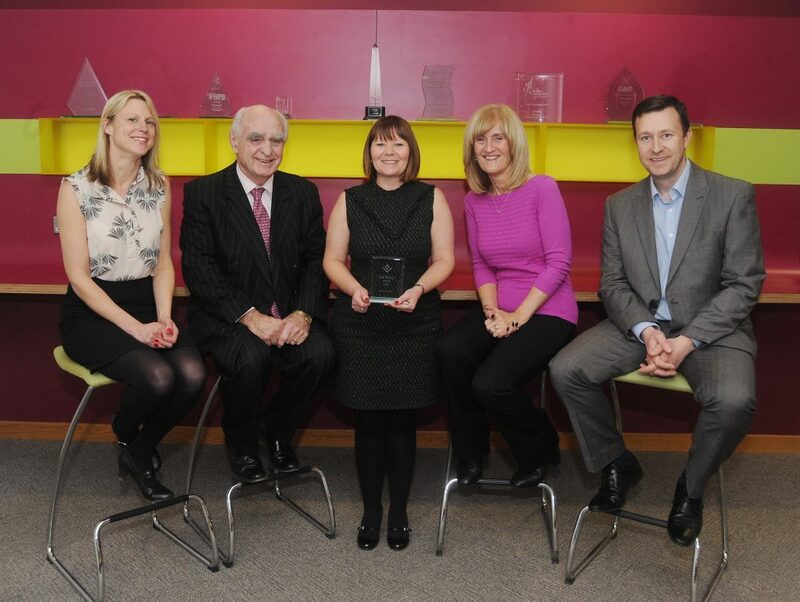 The Gary Neville Award was created in 2012 by Deeley Group and is awarded to the employee who has displayed the most commitment to their role over the past year. 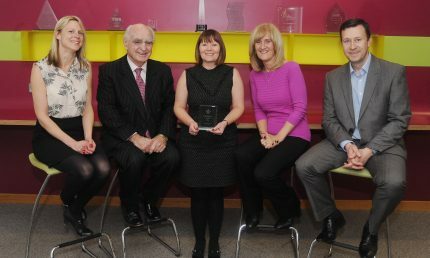 Elaine Arlow, an accounts supervisor at the Coventry-based firm was announced as the 2016 recipient of the award and was presented the award by Gary’s wife, Julie. Elaine said: “I was so surprised to win the award. It’s such a nice thing to know that your fellow colleagues voted for you, I was just completely and utterly shocked when they read out my name. “The award is the centrepiece of my brand new mantelpiece and it was fantastic to see all those lovely comments from everyone. “In the accounts office, Ian, Amanda and I sometimes feel like people think we are just pestering them so it’s nice to know that people recognise what you do. The award is voted for by employees and is a fitting tribute to Gary who passed away in 2011 – having joined Deeley as an apprentice before progressing to become a contract manager. Peter Deeley, managing director of Deeley Group, said: “Elaine has received wonderful praise from her colleagues for bringing a positive atmosphere to the office with her polite and cheerful attitude to work. “Her co-workers have highlighted that Elaine will always go that extra mile for them and does not understand the word ‘no’ when faced with a difficult task. A bike ride to commemorate the Deeley Group’s 80th anniversary has set the wheels in motion for a big boost for a regional grant-giving charity. The company organised an 80-mile cycle around Coventry and Warwickshire to raise money for the Heart of England Community Foundation and to celebrate the company’s 80th year since it was founded. 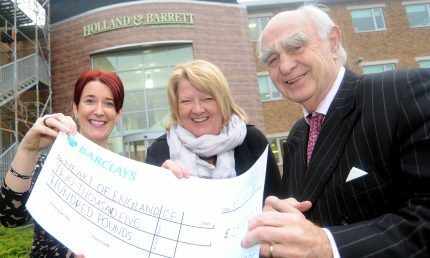 The money, donated by the teams involved, raised an initial £2,500 but after seeing the publicity about the event, Holland & Barrett’s charity group Healthy Hope turned the donation up a gear by adding a further £2,500 to the total. It means the Heart of England Community Foundation – which gives grants to local community groups and charities that make a positive difference in their areas – can now help more people. Nicky Main, a senior buyer at Holland & Barrett and chair of Healthy Hope – which helps to boost the fundraising efforts of Holland & Barrett’s employees and suppliers, said: “We are delighted to give the money to such a fantastic cause through the brilliant fundraising efforts of the Deeley Group. Tina Costello, CEO of the Heart of England Community Foundation, said: “This is a wonderful gesture from Healthy Hope and we will ensure it goes to a great cause in the local area that will make a real difference. Peter Deeley, of the Deeley Group – which is building a new extension at the Holland & Barrett headquarters in Nuneaton, said: “We have a great relationship with Holland & Barrett through many years of working with the company. “It came as a real surprise when they got in touch to say they wanted to add to the total – but to more than double it is simply fantastic news. “Tina and the great team at the Heart of England Community Foundation really do tremendous work in helping a range of groups and charities in our area who are a great asset to their local communities. Deeley Construction, part of the Deeley Group in Coventry, leapt to the rescue when they heard that Loxley Court’s kitchen was in need of an urgent upgrade and called in the support of other contractors in the area. Previously, the scheme did not have facilities to prepare hot food for events in the communal area, so it was prepared off-site due to the lack of kitchen facilities. 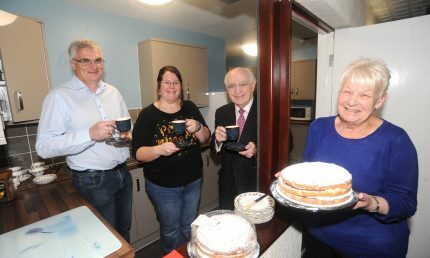 Now, thanks to the generosity and time devoted by Deeley and their contacts, customers at Loxley Court will enjoy a home-cooked meal on Christmas Day – and every day from now on. “We are very happy with the work that has been done to the kitchen. 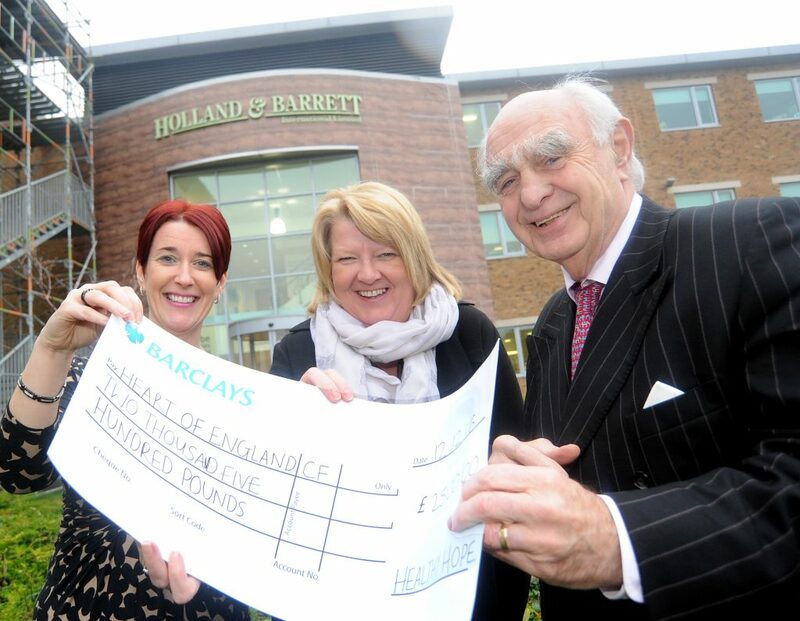 We are extremely grateful to Deeley for their very generous gift. It is most appreciated. Thanks!” said Greta Newman, an Orbit customer who lives at Loxley Court. Around £10,000 worth of time and materials were donated by Deeley Construction, Daly Engineering, Eagledale, Claddagh Electrical, Midlands Flooring, Cladding Components and Agutter. The work was carried out on behalf of Orbit– which owns the scheme – as part of the Deeley Group’s 80th anniversary celebrations. Peter Deeley, of the Deeley Group, said: “As part of anniversary, we have been looking at a range of ways that we could help the local community. “We were chatting to Orbit – for whom we have worked for many years – and they told us about the predicament with the kitchen and that they needed to upgrade the facilities in order to allow customers to prepare their own home-cooked food in the communal area. “We were keen to ensure that it was up and running in time for Christmas and called on some help from companies we work with on a regular basis. It was a great team effort – everyone was very generous with their time because they could see what a wonderful benefit the work was going to bring. 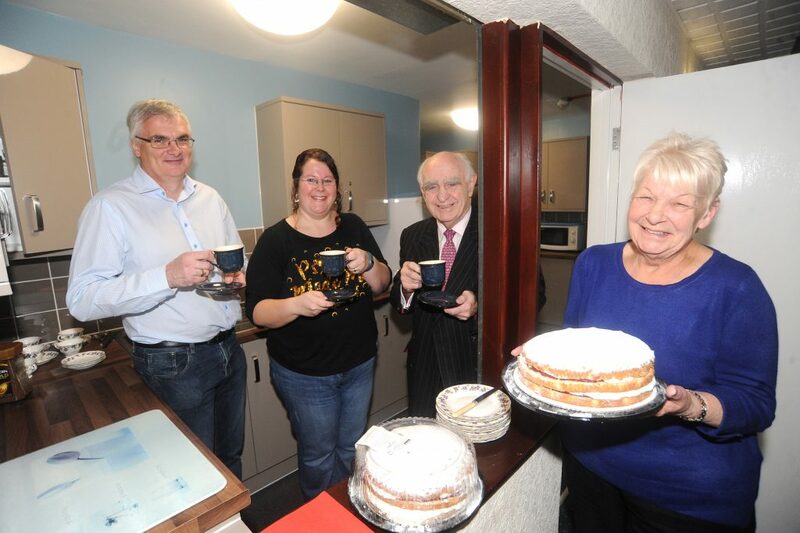 Lesley Airey, Sheltered Support Provision Manager at Orbit, said: “We are thrilled that Deeley Construction and their partners have upgraded the kitchen at Loxley Court. Customers living there will now be able to make and enjoy meals in the shared area of the scheme. Not only does this give customers a greater sense of community, it allows them to share costs by preparing home-cooked meals together. Loxley Court is a sheltered housing scheme in Wood End, Coventry. It comprises 40 self-contained flats for older customers who wish to live independently. It has a shared library, communal lounge, shared laundry facilities and now fully functional and beautiful kitchen! Pictured (left to right): Jimmy Concannon (Claddagh Electrical), Lesley Airey (Loxley Court), Peter Deeley (Deeley Group), Greta Newman (Orbit customer).